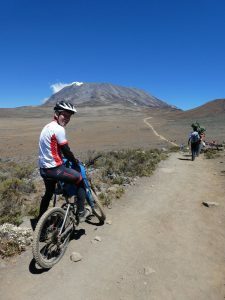 The Kilema route is actually the jeep rescue trail for the Marangu route and therefore quite rough with many bumps. This part is not easy to drive on a bike.. 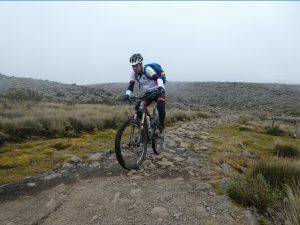 Currently there is still no intermediate camp on this part of the Kilema route. For reasons of acclimatization, it is not possible to make an altitude difference of 1000 meters in one day and spend the night at this altitude. Therefore you have to walk back on the Marangu route to Mandara Hut. But we are currently working on this with the Kilimanjaro Park Administration. 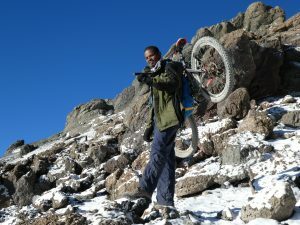 Day 5 Ascent to Kibo Hut 4800 HM+ 200 HM. Overnight Kibo Hut. 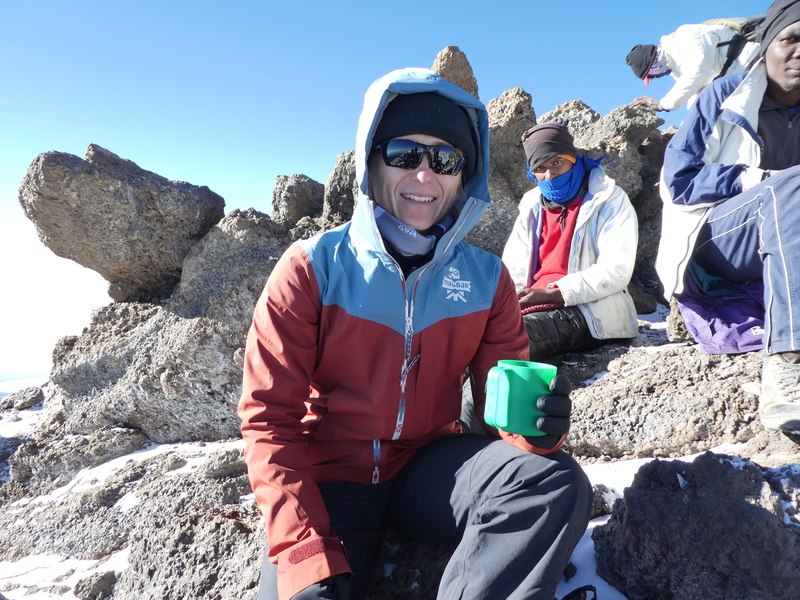 Day 6 Ascent to the Summit and back to Kibo Hut via Horombo Camp back to the hotel. 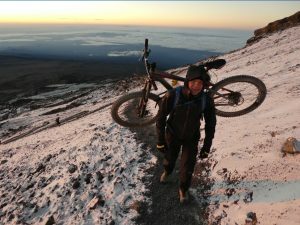 It is possible to push your own bike to the summit, but very few will make this challenge. This is very tough. But each driver has an own porter to support him on this last step to Kilimanjaro. 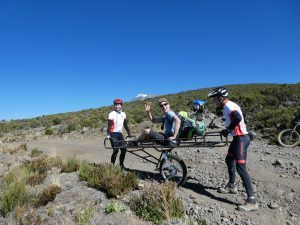 On the Kilimanjaro Mountain Bike Tour you sleep in huts. Therefor it does not get so cold at night. But it is also possible to stay in a tent if you want privacy and peace. 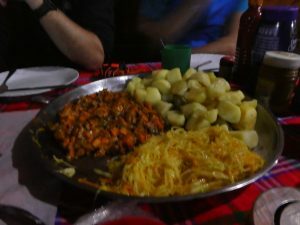 3 times a day we serve a carbohydrate-rich fresh meal to compensate the high energy needs on the mountain. There is no mountain rescue or a helicopter at Kilimanjaro. Therefore, a good driving technique and fitness, as well as a high degree of personal responsibility is very important to really enjoy this adventure and come back healthy. 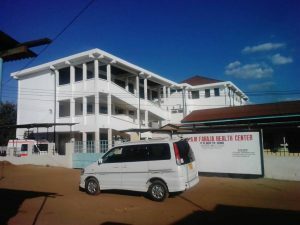 It always takes one day to bring an injured person from the mountain to our partner hospital in Moshi. We therefore ask all those interested in this trip to send us a short athletic biography to get a first impression of their skills.